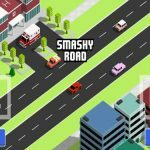 Smashy Road: Wanted has been a huge success so far on the iOS platform, and the game had just recently debuted on the Google Play Store, finally arriving for Android device owners. The game involves you, as the driver, running away from the police and racing through different types of terrain. And the cops don’t give up easily – as you keep on driving away from the law, they’ll get backup from SWAT Teams, and the Army, which will send jeeps and tanks to run after you. 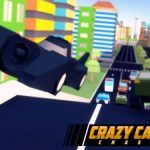 Think of this game as a cross between the similarly-titled Crossy Road and your average Grand Theft Auto police chase, only without the Pay-n-Sprays that allow players to dodge the cops by getting their cars spray-painted. Now, that we’ve reminded you about the game, let’s bring you our top ten Smashy Road: Wanted tips and tricks, which include some that you already know about, and some that you may not have been aware of until now. 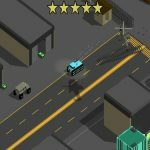 You score in Smashy Road: Wanted by staying alive for as long as possible, but if you’re able to get rid of a police car, that can earn you much more, much faster. But how do you blow up a cop car? What you can do here, especially when several cop cars are chasing you, is to make a tight turn in hopes that they’d all bump into each other. That’s often the case, and that makes this strategy the best way to blow up not just one, but multiple police vehicles. You can also make turns at the intersections when you’ve got some buildings in front of you, as that will force the cop cars to crash into the buildings and the cars parked outside them. The cops in Smashy Road: Wanted, quite fortunately, aren’t as smart as the “PoPo” in GTA, so it should be easy to force them into stupid mistakes and crashes once you’ve got your technique down pat. Just to reinforce what we said above, the cops in this game aren’t the sharpest tools in the shed. It can eventually become quite easy to force them into crashing, or crashing into each other, and the same applies to simply losing the fuzz. One technique we recommend is to quickly move in and out between buildings, as this would leave the cops stuck behind the building, giving you some time to drive away from them and take a breather from the intense police chases. Smashy Road: Wanted has over 30 cars you can unlock, each of them varying in rarity. Of course, you’ll end up drawing common cars more often than not, so you may need to keep on drawing if you want to eventually end up with a rare vehicle. Also, each of these vehicles handles or performs differently; as an example, sports cars go faster than ordinary vehicles, but tend to be wild-handling rides. Larger vehicles such as trucks handle better, especially in off-road scenarios, but tend to be slow and ungainly on the road. They also work better when “boxing out” or pushing other vehicles, especially cop cars. We did explain this in our previous sets of Smashy Road: Wanted tips and tricks, but since it’s one of the more important tips, here it is again – you can use the time lapse in the game, but with a catch. By forwarding the time on your phone or tablet, you can get new free coin gifts as quickly as you want, but if you switch the time back to normal, you’ll need to wait a few hours after the last cheated time before you can get more free coins. Per round, you’ll get stars corresponding to the number of milestones you have accomplished; typically, this could be as many as five or six stars. But there’s a caveat to gathering a lot of stars in a round. With more stars and more vehicles comes more pressure, as you’ll be dealing with faster and nastier vehicles running after you. Smashy Road: Wanted does tease some secret locations in its game description, and some of these locations include Chinatown, a military base, an airport, and more. These spots are typically accessed by driving off-road, so feel free to experiment. If you’ve got a police barrier in your way, you should be focusing on smashing through the barrier, and not through the cop cars. Strangely, cop cars are hard to move unless you’ve got a bigger vehicle, and it takes a lot to blast those armored trucks. Instead of dying or getting busted by the cops, smash through those barriers instead. By driving onto a car hauler truck and off of the ramps, you can literally fly over other cars, police cars included. This is a great way to confuse the cops, and also a nice way for you to force them into a crash. However, you’ll want to take care when pulling off this move, as you could flip over if you’re not careful. By smashing into the gasoline tanker, you can take out a whole slew of police cars. However, this is a risky, risky tactic, especially if you’re driving a big vehicle. But if you’ve got something small and fast, such as the red sports car, you can blow up the tanker and blow up the cops, and still survive it all. Do you want additional Smashy Road: Wanted tips and tricks? We’ve been covering this game in great detail lately, and in the past we’ve shared some general hints with you, tips on how to get unlimited cash for free in the game, and a compilation of tricks on how to unlock rare and legendary cars. 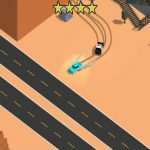 So if you need some more help to succeed in the game, we suggest you to check out our collection of Smashy Road: Wanted cheats, tips and tricks.